These are the perfect ideas that makes life so much easier when you are constantly on the go and hate having things unorganised. 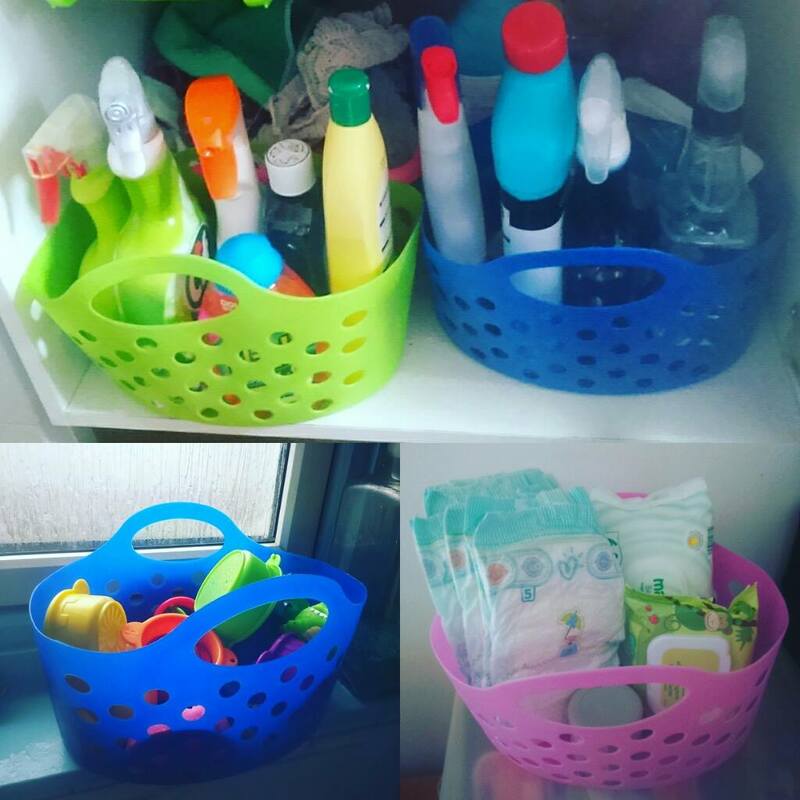 These small little baskets make the world of difference as going around organising my home. 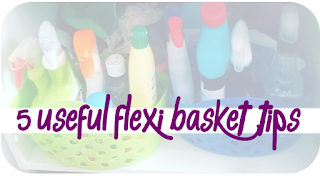 So I want to share my top 5 uses for these baskets. My favourite use of them has to be for under the sink where usually everything is just thrown. No longer do I have to now hunt for a bottle which is probably hiding at the back. Instead it is all room sorted so I can grab the stuff I need in no time at all - a handy thing for a messy 17month old. Dont just stop at clearing up under the sink, organise your food cupboards too. I'm quite short and often cant see into the back of the cupboards. But having tins organised by colour means I can grab and pull down what and I need straight away. You could even do this in your fridge. There's always one drawer in the kitchen that random things get thrown into. Battery, spare keys, old birthday cards, screws, light bulbs to name a few in mine. These useful things that I need on hand encase of a emergency. Imagine being stuck on a children's channel once they have gone to bed as the remote has died? Not in my house. Everything has its place and easy to reach for. No more smashed bulbs or hunting for the battery who find there way to the bottom. Little ones get spoiled with so many toys its hard to keep track of them. Buying specially made bath nets are £10 and up so I came up with the idea to put her bath toys are into a flexi basket. I have punched little holes into the bottom of which makes draining the water out a doddle. This also works perfectly for bathroom products too. 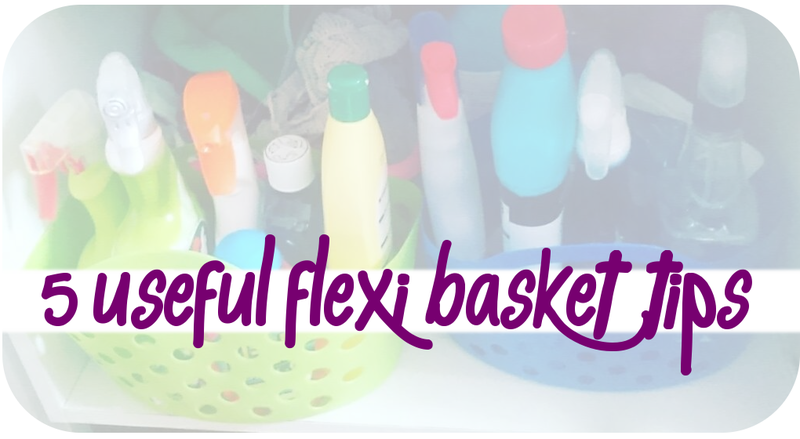 The great thing about flexi baskets is that they are really easy to be held in one hand. Meaning you can use the other to wrestle your little monkeys into submission. I keep my daughters easy clean up items inside one. Life could not get any simpler - and neater. I bought mine from Amazon and they are worth so much more than what you pay. The possibilities really are endless. What would you do with yours? Let me know down below and make sure to subscribe so you dont miss any time saving tips. I love the range of colours available. Thanks for sharing! Good idea, my bathroom is always a mess and I struggle to organise small bits and pieces. I use baskets similar to these to store my makeup brushes! They're very convenient! I need one of these to use in the kitchen under the sink!